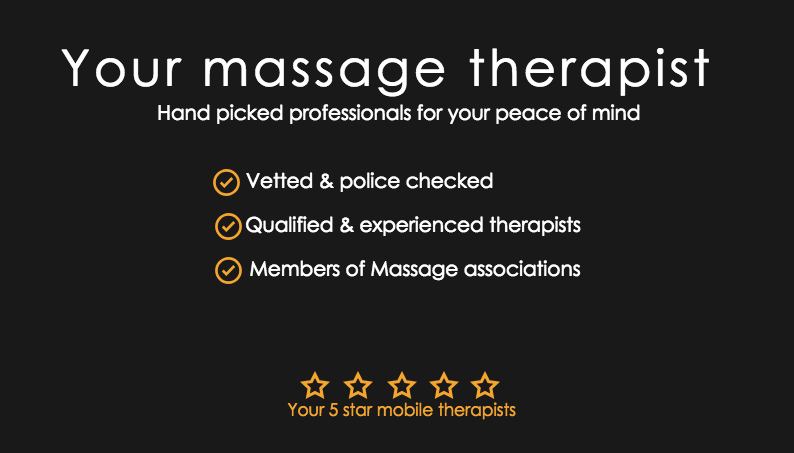 Looking for a good Massage Therapist? Get pain relief with the best remedial massage. Whether you need a massage therapy at home, the office, or in your hotel room you can count on Motions Mobile Remedial massage. Our professional and qualified therapists specialise in deep tissue, relaxation, remedial, and sports therapy. A combination of these therapies is usually utilised depending on your needs to maximise the therapeutic benefits of massage. 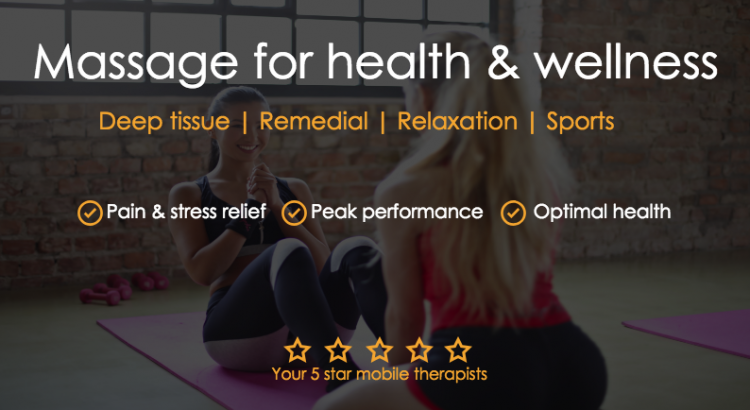 Swedish massage, trigger point therapy, myofascial release, passive and active stretching as well as other techniques are used to leave you relaxed, revitalised and reinvigorated. If you’re an active individual or play a sport this is perfect for injury prevention, faster recovery, or as part of a good rehabilitation program. Sometimes you just need someone to get into those hard to reach places to purge stagnant fluid and tissues so you can feel free again. We know the muscles, joints, and crevices to target to get that relief. Remedial massage is a rehabilitative or therapeutic modality rather than a relaxing one. Therefore the practice is not limited to massage techniques. Through physical assessment and orthopaedic testing as well as feedback from you, your remedial therapist will try to find the cause of the soft tissue dysfunction and propose a plan of action. Some of the techniques used in treatment include NMT (Neuromuscular technique), PNF (Propriceptive neuromuscular facilitation), MFR (Myofascial release), MET (Muscle energy technique), PET (positional release technique), mobilisation, and therapeutic exercise as well as stretching. The above-mentioned techniques target the muscular system, connective tissue, and the nervous system to restore range of motion and help relieve pain. Your friendly remedial therapist will arrive and great you with everything necessary for your treatment. Please show the therapist where to set up and bring a glass of water for yourself to have after your treatment. The first consultation will require you to fill out a health questionnaire, which is then discussed further. This enables us to gain a better understanding of symptoms and other possible contributing factors and also rule out any contraindications to treatment. We will then ask what you would like out of the treatment if you have any specific goals, concerns and answer any questions you may have. A physical assessment is then be performed to explore your range of motion or lack thereof. Orthopaedic testing will also allow us to check whether there are any neurological concerns. Please note: If you do experience sharp shooting pain, numbness and tingling we may need to refer you to a primary health care professional as this is beyond our scope of practice. If however, you have received the all clear from your GP, we may need to have this in writing to commence with the treatment. Although this may be disappointing, it is in your best health interest. After the initial consultation, you and your remedial therapist will discuss your treatment goals and formulate a plan and gain your consent. The therapist will leave the room and give you time to disrobe. Please keep your undergarments on. Some clients may want to remain clothed in which case the therapist can work through them. As mentioned above, remedial therapy employs techniques from many other practices such as physiotherapy, osteopathy, chiropractic, and other bodywork modalities. Unlike normal massage, our treatment relies on constant communication between you and the practitioner. This allows both parties to gauge the level of pressure or if there is any discomfort. It also allows you to voice varying sensations in the area being worked and referral of pain or release. Reassessment may also occur in between treatment to check for improvements in your range of motion or alteration in sensation. You may be asked to change positions several times and to participate in active movements. Your progress from the treatment may be reassessed at this time and you may also feel tender afterward and sometimes for a number of days as the body accustoms itself to the changes imposed on it. Therefore when the therapist leaves the room take your time to rise slowly and move your body. On the therapists return you will be able to discuss the progress of the treatment and possible exercises and stretches to perform at home. Because of the nature of the treatment and time-limiting factor sometimes not all your concerns may be addressed in one session. Therefore it may take several consultations to achieve the desired result. As each case is different, your therapist may recommend a course of action if necessary. After packing up the massage table and washing up, your Melbourne remedial therapist will bid you farewell and allow you to relax in the comfort of your home. As well as serving our clients in the Melbourne CBD with our corporate and home massage service, we also cater to the northern suburbs including Brunswick, Fitzroy, Fitzroy North, Northcote and beyond to Melbourne Airport where we offer a hotel massage service. 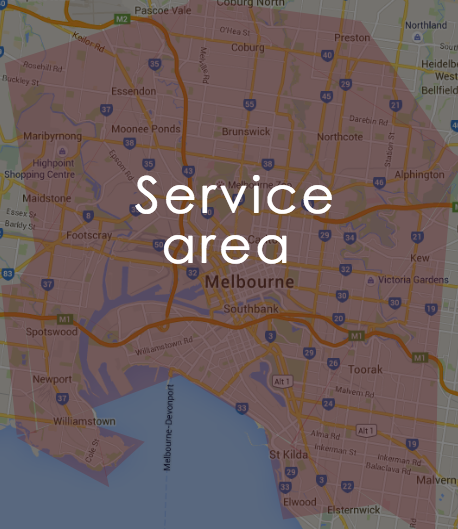 In the western suburbs, our service region includes Essendon, Moonee Ponds, Maribyrnong, Williamstown, and Keilor in the northwestern region. We go from Richmond and Hawthorn to Kew and Malvern in the eastern suburbs and Port Melbourne to St Kilda in the southeastern suburbs. I believe that remedial massage therapy should be about educating the recipient about the body as well as being hands-on with the treatment. One of the most important things about is to understand how to work with different types of bodies and being proactive rather than reactive. By following these guidelines your body will flow and move better and pain will disappear over time. Your visiting Melbourne remedial massage therapist will conduct a physical assessment and discuss your treatment plan to make sure you’re informed of the process and to answer your questions. We focus on uncovering the source of the pain, followed by a professional hands-on massage utilising many techniques. Our remedial massage Melbourne therapist works with a range of physical conditions, including sports injuries and stress-related tension. Get in Touch With Us If you’re looking for pain relief or performance enhancement.